The Penn Electric Racing team currently holds the record for the fastest student-built race car in the Western Hemisphere with an acceleration of 0-60 mph in just 2.65 seconds. “When we set the record, we were the fastest car in the world at the time. Now we’re just behind Tesla’s fastest speeds at 0-60 in 2.4 seconds,” said Conner Mitchell, Mechanical Team Lead. Who Is Penn Electric Racing? 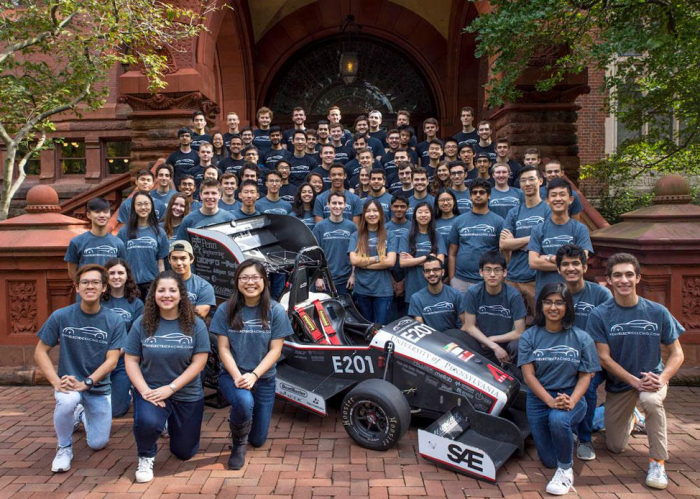 These students, organized into teams of electrical engineering, mechanical engineering, and operations, commit anywhere from 5 to 20 hours a week to electric car racing—a huge undertaking since most maintain a full academic course load. But the commitment has the chance to pay off every year at the annual Formula SAE competition, where university students from around the world compete for the best race car design and build. The cars are judged in eight categories: acceleration, autocross ability, endurance, efficiency, skid-pad ability, design, sales presentation, and cost. This year the competition will be held in Lincoln, Nebraska from June 19-22. Penn Electric Racing is on its “talk year” of its two-year design schedule, meaning the team will go through smaller, iterative changes to work out the bugs from last year’s major architectural changes, then move to production. On the design slate is the improvement of their car’s four-wheel drive. To do so, the team will need to design and manufacture a wide variety of parts, ranging from a custom 3D printed motor housing for the drivetrain to method blocks in the accumulator to hold together their car’s battery pack. 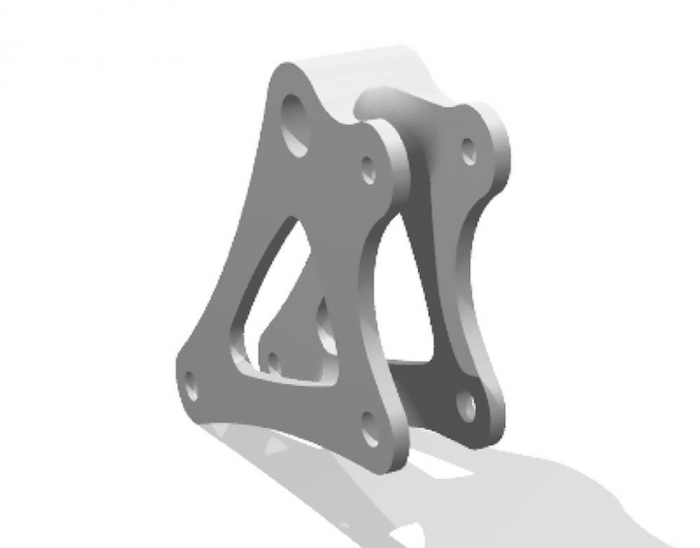 This year, Xometry is sponsoring the team, which will again use the online platform to make two major parts. One part is a method block, which will link together 720 cylindrical lithium-ion cells to make an entire battery pack. 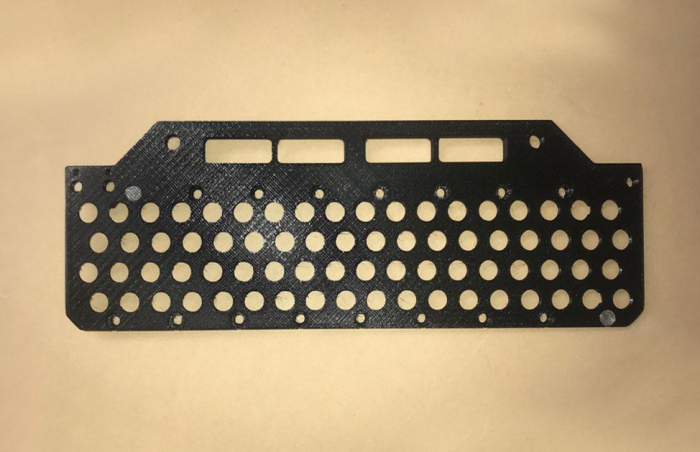 A total of 14 CNC machined method blocks will hold the battery together and give the car the durability and power to accelerate at 2.5G laterally or 0-60 mph in 2.65 seconds longitudinally. The other part is a bellcrank, a CNC machined part which will help dictate how much the wheel moves relative to the spring damper system, and, therefore, how effective the suspension system is. This then determines the overall behavior of the car on the road. “I always get excited when I see these parts. They’re cool-looking pieces of machinery—very light and lean, and very emblematic of what a race car should be,” Conner remarks. The car will have a total of four bell cranks, and the team will send Xometry the two more complex parts. 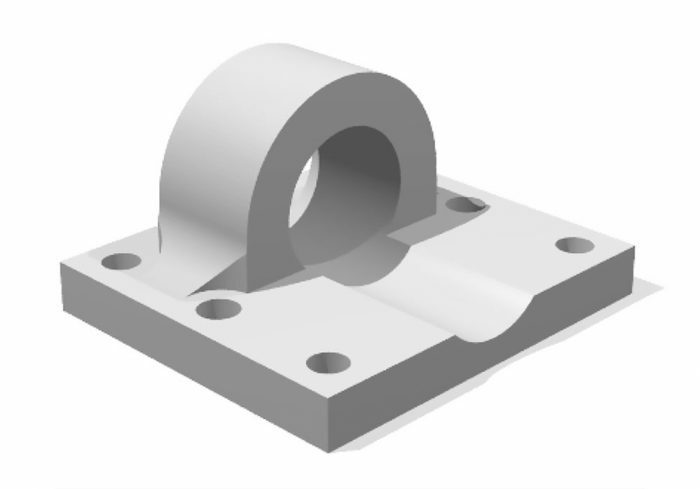 Creating these parts in-house on the school’s ten machines is too time-intensive for the select students who have been trained on CNC machining through a course on machining and mechanical design. Machinists in Xometry’s Partner Network, on the other hand, have 10-30 years of machining experience, allowing them to do the same work in less time. “It’s this trade-off between ‘How much can we reasonably do?’ and’ Is there a better way to do it?’” explains Ayrton. Overall in-house capacity is also limited for the team because all students at the University of Pennsylvania share the shop. Shop priority often goes to students who have senior design projects, students in integrated product design courses, and more, so the demand for machines is high and the supply is low. Penn Electric Racing is excited to hit the ground running this year with their work on Revolution 5, or, as the team likes to call it, “Rev 5.” Their shared passion for engineering and futuristic ethos is woven into the team’s history. It started as a solar car racing team in the late 1980s, dabbled in gas race cars, and transitioned to an electric car racing team in 2013. Xometry is a proud sponsor of Penn Electric Racing. You can find more information about the team here. Written by Serena Ngoh, Digital Marketing Specialist at Xometry.